SolarCity, a leading solar energy company, has begun providing electrical power directly to the city of East Bridgewater in Massachusetts. This initiative is expected to significantly reduce the cost of electricity in the town and provide residents with a relief from some financial burdens associated with power acquired directly from utilities. This could be a major breakthrough concerning support for solar energy as SolarCity shows that it can provide power directly to consumers rather than providing this power through third parties. SolarCity has provided East Bridgewater with more than 10,000 photovoltaic modules, which have been installed on various properties throughout the city. The city pays SolarCity for the electricity these modules produce and the cost for this electricity is somewhat less than the rates offered by utilities. The solar energy systems are expected to produce over 3 million kilowatt-hours of electrical power every year. This will translate into some $2 million in energy savings over the next two decades. 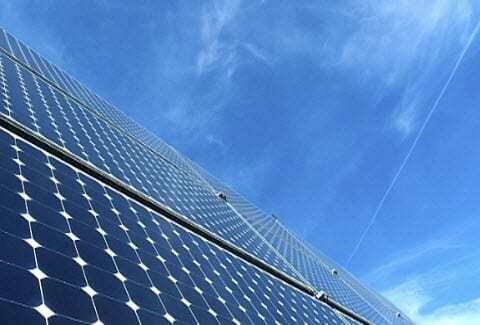 Massachusetts has become a hub for solar energy activity in recent years. Governor Deval Patrick has issued praise for the latest project from SolarCity, suggesting that such projects are responsible for creating new jobs and improving the state’s environment. The Governor also noted that East Bridgewater is likely to serve as an example for other cities in the state concerning the use of solar energy in the future. SolarCity and East Bridgewater have entered into a 25 year contract. During this time, SolarCity will maintain the solar energy systems that have been provided to the city and the city will purchase the electricity generated by these systems. Per the contract, none of the city’s funds will be used to develop new solar energy systems or maintain those that have been provided by SolarCity.